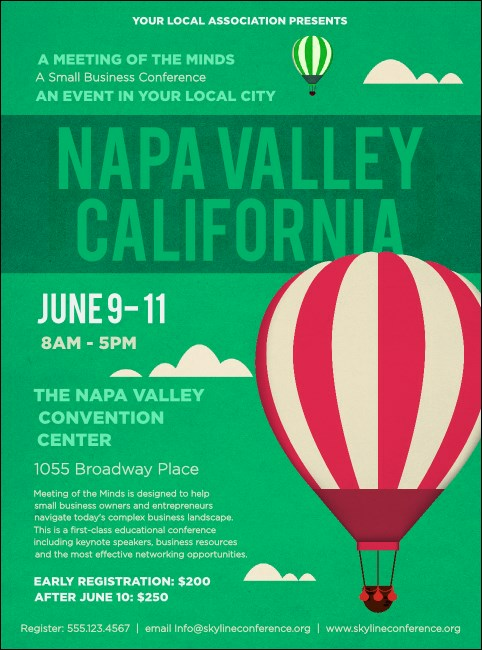 Send your ticket sales soaring into the beauty that is the North Bay area when you print Napa Valley Flyers and advertise your next wine-friendly event in advance. Take your event attendance on a thrill ride with Flyers that feature a pretty pink and white stripped hot air balloon on a bright green background. We’ve got event promotions aged to perfection at TicketPrinting.com!